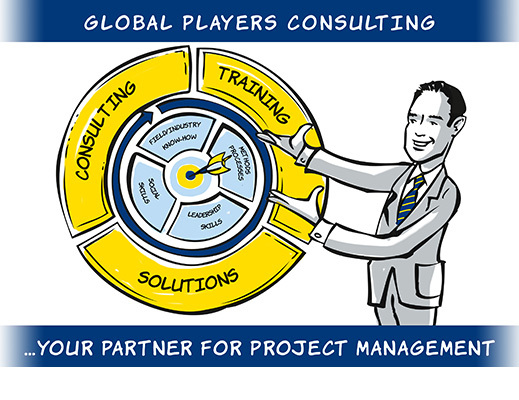 Welcome to Global Players Consulting – Project Management is our passion! 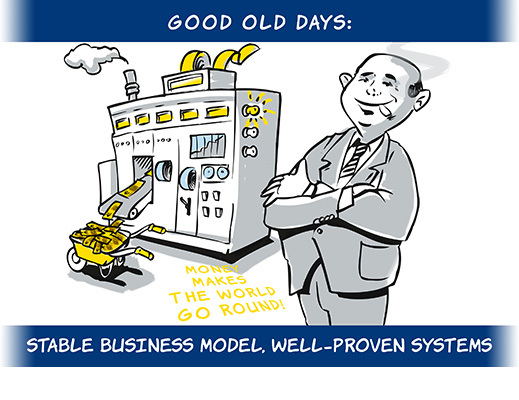 Economy and public services face a systemic change and it is already under way: long-standing and approved business models, even entire industries are being challenged by megatrends – digitalization, globalization, demographic trends and climate change. Thus, products, services, processes, systems and organizations have to be adapted and sometimes even reinvented to maintain competitiveness. 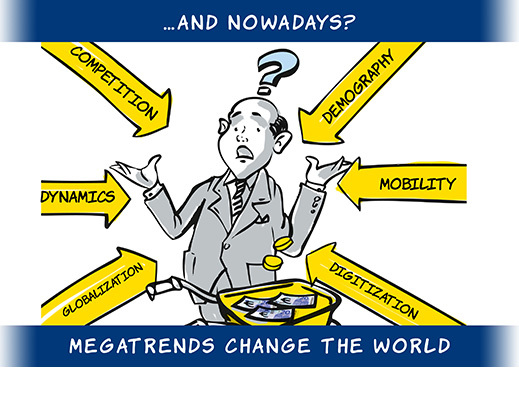 Some complain about these trends which might cause substantial losses on established business models. Successful entrepreneurs and managers meet these challenges early enough, confidently and vigorously but also focussed and with a sense of proportion – as we do! One of the challenges that entrepreneurs and managers have to accept is the project oriented alignment of companies and administration: products and services are no longer up to date and need to be more customized. 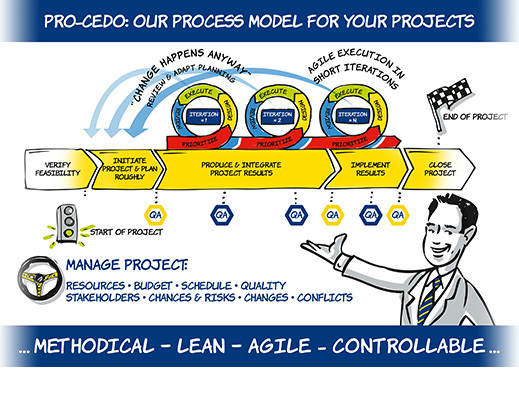 In order to keep up with competition, value creation and supportive activities need to be organized in projects – agile, innovative, interdisciplinary, with limited resources, cost and schedule, often unique and risky. 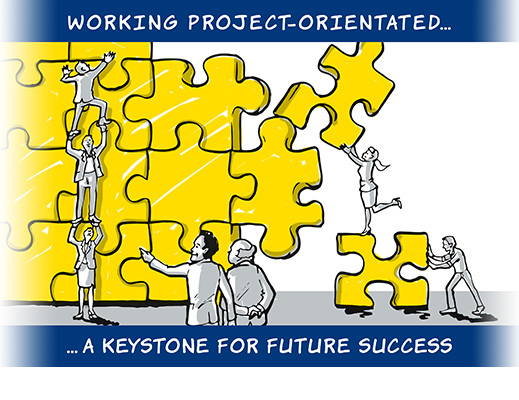 „Competence in Project Business“ – this is Global Players Consulting’s offer to entrepreneurs, managers and professionals handling the management of numerous and often complex projects – also in the global market. We commit ourselves to this maxim in our daily work with our clients. Thanks to our wide range of methodical, professional, personal and social competencies we are able to boost our clients’ daily project orientated work. Our many years of experience in IT, optimization and organizational projects of different scope, functional areas and industries will benefit our clients. Nevertheless, we will not rest on our experience. Each project is unique and will be handled by us with care. Complexity of project scope and variety of environmental factors do not allow to promise that your projects will be more successful during or after our support. Solid as a rock in hectic project business. I can assure that our clients will obtain effective methods and tools, as well as our advice, impulse and verification so they will be able to manage their projects systematically, tactically and confidently. While working every day cooperatively and with highest reliability, discipline and passion at your service we will win your confidence. Have a tour through our web presence and gain impressions of our methods in project management, our consulting, training and solutions offers for your successful project work. Feel free to contact me! I attach great importance to establish a direct line to our (prospective) clients.